WordPress is the most popular blog software being used today simply designed to simplify the creation and maintenance of weblogs which is powered by PHP and MySQL. Its features include a plugin architecture which allows users and developers to extend its functionality beyond the features that come as part of the base install and a templating system which includes widgets that can be rearranged without editing PHP or HTML code. You must be very concerned with security risks and issues if you are a WordPress user. Security is of major concern in this world of growing intrusions, hacking, cracking and data-thefts. 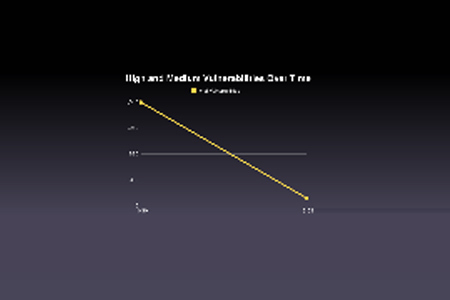 Hackers always look for vulnerabilities to hack into your blog. In order to eliminate attacks if not minimize them, here are the 24 Useful Security WordPress Plugins for your Blog which will help you to assure that your blog is in safe hands. The list of all the admin pages accessed in the Blog admin area are displayed in the Admnin Log. 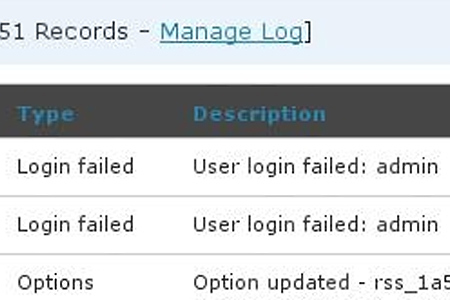 Whenever the page in the admin area is accessed, the Admin Log is updated. These are just some of the information displayed: admin page accessed, user, and time of access. If more than one person maintains your Blog then this is very useful because you can see exactly who is accessing the admin pages, what they are doing, and when! 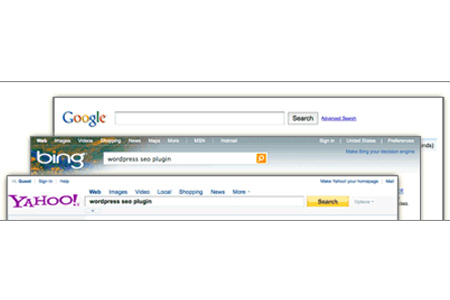 For this plugin, the version has been used and maintained by Site Security Monitor care. It notifies you about the plug-in page with errors, wishes and directions. 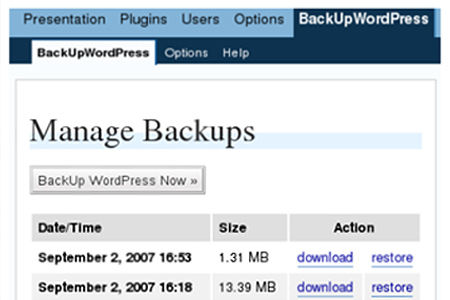 This is a Backup & Recovery Suite for your WordPress website. This Plugin comes with a rich set of options and allows you to backup database tables as well as files. You can use this plugin to trasmit your password encrypted whenever you try to login into your website. The Chap protocol will do the encryption process. This is useful when you can’t use ssl or other kinds of secure protocols. 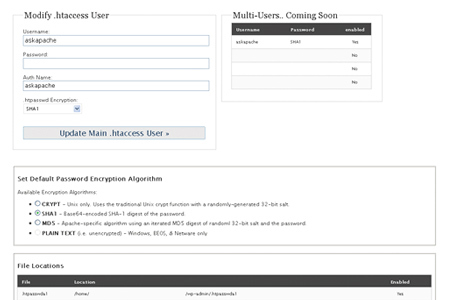 Whenever the ChapSecureLogin plugin is activated, the username is the only information transmitted that’s unencrypted. 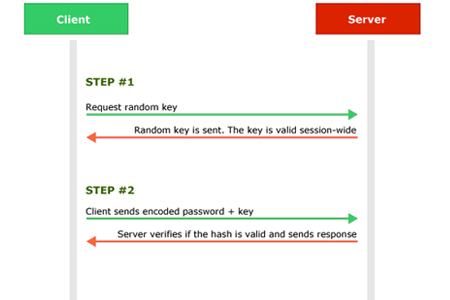 The password is hided with a random number (nonce) generated by the session and transformed by the MD5 algorithm. If you want more details about this algorithm, check “Building a CHAP Login System”. This is a zero-configuration plugin. This plugin functions to protect the registration, login and comment forms from spambots by adding two extra fields hidden by CSS. This approach will give 100% anti-spam protection on our sites. If you would like to focus on blogging, use Automattic Kismet (Akismet for short) so that you could spend more time in creating a content. It makes comment and trackback spam a non-issue and restore innocence to blogging so that you never have to worry about spam again. This will allow you to optimize, repair, backup, restore database, delete backup database, drop/empty tables and run selected queries. It supports automatic scheduling of backing up and optimizing of database. You can find all the information (general, changelog, installation, upgrade, usage) you will need about this plugin in WP-DBManager Readme. Maximum Security for WordPress will make your site extremely secure because it is packed with a strong protection against intrusion. It’s importance includes tracking a plethora of events, blocking malicious content that could harm your readers and your search engine ranking It includes a strong Web application firewall along with a full blown intrusion prevention system. Admin SSL functions to secure login page, admin area, posts, pages – whatever you want – using Private or Shared SSL. Once you have activated the plugin just go to the Admin SSL configuration page to enable SSL, and the installation instructions are posted. The main function of a Login LockDown is to record the IP address and timestamp of every failed WordPress login attempt. For example, if more than a certain number of attempts are detected within a short period of time from the same IP range, the login function will be disabled for all requests from that range. This pluggin will help prevent the forced discovery of the password. WordPress database backup functions to create backups of your core WordPress tables as well as other tables of your choice in the same database. The main function of this plugin is to Scan your WordPress installation for security vulnerabilities and suggests corrective actions. 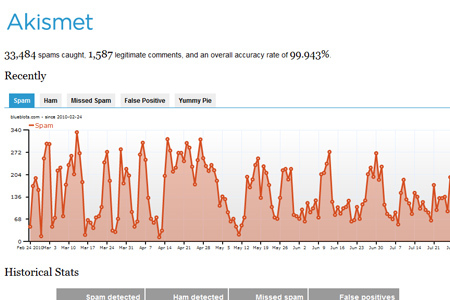 NoSpamNX is a plugin that helps protect against automated comment spam (spambots). It is the successor of Yawasp (Yet Another WordPress antispam plugin). 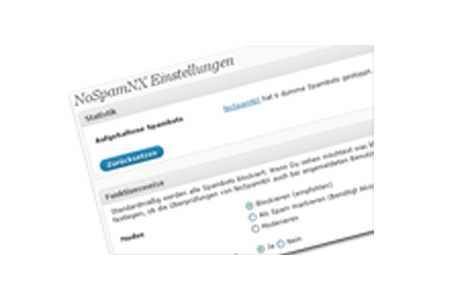 Unlike Yawasp, NoSpamNX does not change the names of the form fields in the comment template but is equally effective. Secure WordPress provides little help to secure your WordPress installation, remove error information on login page, adds index.html to plugin directory and removes the wp-version, except in admin area. AskApache Password Protect functions to add some serious password protection to your WordPress Blog. Aside from protecting your wp-admin directory, it also protects your wp-includes, wp-content, plugins, etc. plugins as well. It adds CAPTCHA anti-spam methods to WordPress on the comment form, registration form, login, or all. Users will have to type in the phrase shown on the image in order to post comments or regiser. This will prevent spam from automated bots. It also adds security and works great with Akismet. It is also fully WPMU and BuddyPress compatible. 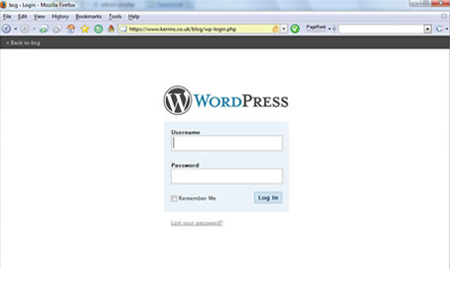 Ban users by IP, host name, IP Range and referer url from visiting your WordPress’s blog. It displays a custom ban message when the banned IP, host name, IP range or referer url tries to visit your blog. This will also allow you to exclude certain IPs from being banned. How many times they have attempted to visit your blog will be recorded. It also allows wildcard matching. TAC stands for Theme Authenticity Checker that scans all of your theme files for potentially malicious or unwanted code. 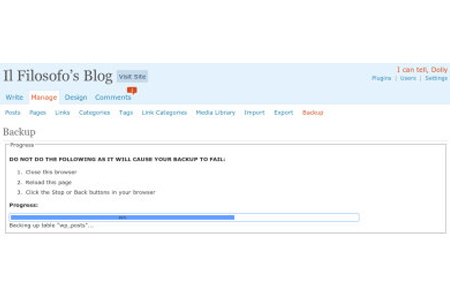 EZ Backup WordPress Plugin features a Compatibility Checker to help determine your webhost / webserver which will allow the plugin to function. AntiVirus for WordPress monitors malicious injections and warns you of any possible attacks from viruses, worms and malware which could easily attack your WordPress installation. It is ideal as a supplement to the manual security measures in your blogs. The HTTP Authentication plugin includes Apache’s basic HTTP authentication module and many others that will allow you to use existing means of authenticating people to WordPress. WP Sentry is a simple plugin which allows you to access-restricted posting, allows bloggers to discuss sensitive subjects without Google or the world finding the post. AntispamBee is made up of sophisticated techniques and analyzes comments including pings that protects blogs from digital rubbish. For reasons of data privacy, it is a safe solution to use the AntispamBee as it is anonymous and registration-free. Thanks for the list, . Indeed this is very helpful plugins .. The only problem is running that many plugins will slow down WordPress. You shouldn’t run more then 16 at a time according to WordPress. some of these we using, you sharing useful list. 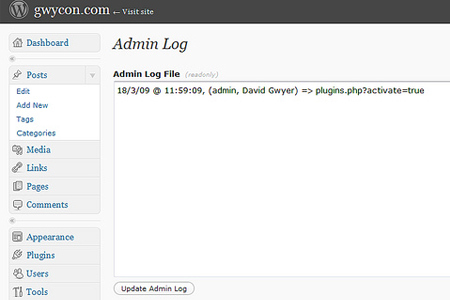 The Plugin with the Admin Log is great. I installed it. nice compilation of security plugins, but what are your views about Bullet Proof Security plugin?